I am an English born bi-lingual Francophile and a Humanist at heart, happily married to a French wife, and we share our lives and interests between the UK and France. 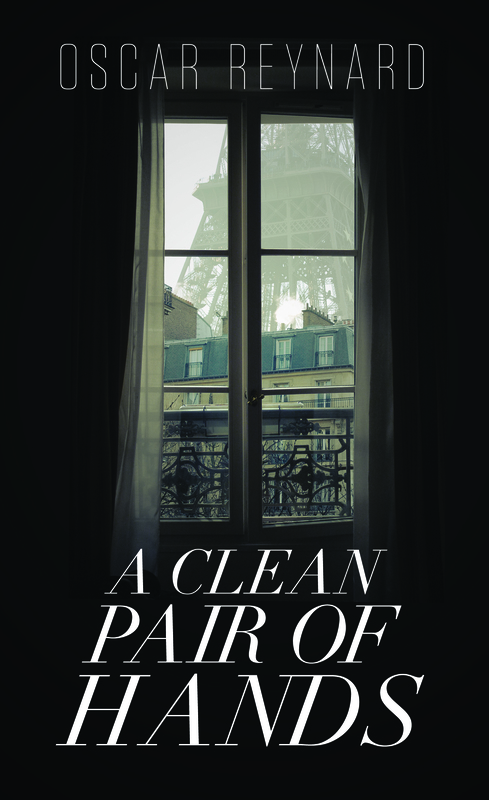 I did most of the writing in France and since I wrote the novel ‘A Clean Pair of Hands’ there has been more boldness by the media in France and elsewhere in opening up a debate on how much the attitudes of national leadership influence the moral base for whole populations. 1.What got you into writing / what made you sit down and actually start something? Writing was always a pleasure for me. I made my first attempts at school by contributing to the school magazine. We also used to write to American jazz musicians of the late 1950s. That was exciting! Especially as some replied! I initiated some of that correspondence, which sadly has not survived as far as I know. I say sadly because our main point of contact was Ella Fitzgerald and when she came to London we met and she introduced us to Oscar Peterson and Dizzy Gillespie. You can imagine the effect that had on a small group of 15 year old jazz fans. 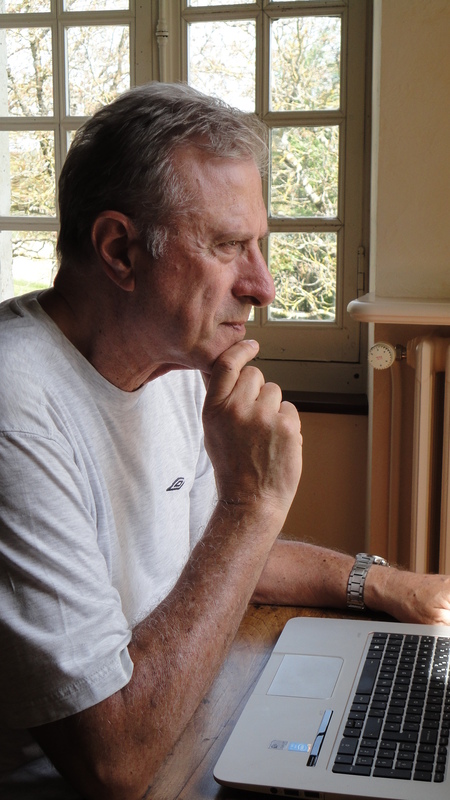 I am an avid reader and enjoy a wide spectrum of subjects from history to scientific discoveries and to current affairs and I am a keen observer of human behaviour, but I never set out to be a writer, though during my business career I wrote some magazine articles for business and professional publications and for a while I was a business book critic! 2.What is a usual writing day like for you, how is it structured? I don’t structure a writing day or have a routine as such. I make a plot plan from note books and then work on characters and think about them in scenes. I then research facts, geography and other items of relevance, to establish accuracy where needed. When I have a chance to write I refer to the note books, plot plans and research notes. When I start writing a scene I just let it flow, then usually have to make challenging cuts to stay within the plot. I probably discard 50% of my manuscript. 4.Are you a plotter or panster when it comes to writing a story? Is it pantster with a t as in flying by the seat of your pants, or panster as in frying pan? I had never heard the word before. Are you traditionally or self-published, and what was the publishing process like for you? Any advice to aspiring authors? I was warned before embarking on this project that writing a book was the easy part, and I would reiterate that warning to any aspiring authors. My single experience was predictably met with, “Thanks but not for us.” From a bunch of selected agents, and I fell into the clutches of a hard-selling but poor delivering self-publishing house. That was a complete waste of time and money. Then I was approached by Authoright and the relationship with them has been more professional and productive. 8.What audience is your book targeted for, and what genre does it come under? I have little knowledge of genres and how they are defined, but I would guess that ‘A Clean Pair of Hands’ crosses between several descriptive boundaries. It is a novel about real life decisions, free-will and inevitability, and how they play out for the book’s characters. We are all faced with dilemmas at some time in our lives and we can’t always blame society or governments for our own decisions. 9.Apart from writing, what do you do in your spare time? Living life is my second passion after reading books. I would like to spend more time doing very little, enjoying the company of friends and family in the sunshine of bucolic South-West France and developing my limited culinary skills in this cradle of French gastronomy. Then I might exert my modest energy helping my wife to discover hidden properties with development potential. I have several other book plans awaiting development, but the fact that I could write them doesn’t mean that I will. I need to know that there would be an interested readership before I go through the process again. Otherwise it would be just an indulgence. Meanwhile, I can focus on marketing this novel and on my other interests, which are varied. 10.What tip would you give to new authors when trying to build a fan-base / get followers and market their books? (What to do and what not to do.) My experience is too limited to be of much value, but you have put your finger on the aspect of book publishing that I am most reluctant to dive into. My attitude to marketing, and especially fan-base building, is similar to Woody Allen’s relationship with gardening. He said, “I love gardening. I just don’t want to be around when it’s happening.” I feel that I am remorselessly being drawn over a threshold from privacy into the world of websites, blogs and Facebook. If a fan-base were to be established (and that’s a big assumption) I would welcome contact and perhaps some debates and I would try to be active in responding to some posts, but it requires more work before we reach that stage. 11.How much of your books are realistic / based on true experiences/ people? Mark Twain said that truth is stranger than fiction, and I agree with him. My fiction is based on observation of the bizarre and illogical ways we humans talk and act.